1. I can wear a coat - Yes actually wear a coat and know that I will be able to leave it on. I hate British summers the debate before you leave the house, should I take this coat, will I be too warm what if it rains (I always seem to make the wrong decision). In autumn you know you will 9 times out of time 10 be able to wear that coat at all times whilst outside. 2. Coat Shopping - Why this is my most favourite thing to buy all year I don't know but I love it. I think it's because you don't have to Que for a changing room with half the shop draped over your arm to then find you need another size, just find a mirror and try on as you go. There is so many styles to choose from this year too. Cannot wait to go get mine. 3. Leaves - The colour of leaves, the smell of wet leaves, the sound of the crumpling of dried leaves under your feet on a cool crisp morning ... Oh how I love leaves. 4. Bonfires - Now Im absolutely terrified of fire works (due to an incident when I was little) but I still love bonfire night. The crackling of the fire, wearing wooly hats and scarves, the cuddling up to our loved ones ... and the food oh I do love a good bonfire BBQ and toffee apples one of the most hardest things to eat without getting a sticky ring all round your mush! 5. Rain - The sound of rain on a window, Its raining as I type and I'm just sat in bed relaxing with a cup of green tea typing away and I couldn't be happier at this moment in time. 6. Conkers - Yes.. I know Im too old to play conkers (hangs head with a sticky out lip) but the happy memories I have going to the local park with my Dad, Sister and our clothes prop, Dad hitting them down whilst me and my Sister run round excitedily trying to catch them will alway make me smile. We spent hours putting them in the airing cupboard to dry and then nail vanishing them all wonderful colours. 7. Food - The slow cooker starts to make more of an appearance and what beats walking into your house and the smell of a slow cooked stew or chilli fills the air. Also Brussel Sprouts are everywhere. Yes I'm not afraid to admit I love these green little buggers so much. I have them with everything on roasts, in stirfrys with every meal I cook really. 8. Christmas is in the shops - I'm like a little kid when it comes to Christmas I love everything about it so when I start seeing things in shops I go all warm inside. Even more exciting this year as I'll have a 7 month old. I have already bought 50% of the presents and my gift bags. 9. Candles - I love coming home and lighting a candle. Also sat on the sofa snuggled in a blanket the room flickering in candle light whilst watching films, Hot chocolate in hand. Cant wait to stock up on those spicy scents. 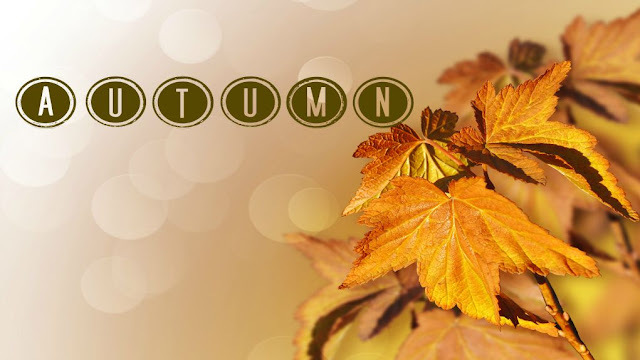 Whats your favourite part of Autumn?? I've just written a post on why I hate Autumn so I have a very different opinion to this! It's nice to see other people's views though and I agree with you on conkers and the food side of things! autumn has got to be my favorite season. layering clothes is just the best.